In this crime drama, a law enforcement officer engages in his own brand of justice, which sometimes involves shooting first and asking questions later. When he is reassigned to working in his Appalachian home town, his tough (and legally problematic) style fits in a little better with local attitudes. Raylan, Boyd, and Ava fight one final, bloody battle to determine who leaves Harlan alive. Raylan and the Marshals encounter a crisis that could ruin all of their careers. Duffy, Mike, and Katherine question the meaning of loyalty. Raylan puts the pressure on his CIs. Boyd moves in on Markham's money. Raylan and Boyd put Ava's loyalty to the test, and Markham's plans to win over Harlan don't go as planned. Raylan begins to break his ties to Harlan as he pursues a new lead and makes a new alliance to take down Boyd. Meanwhile, a desperate Ty comes to Boyd and Ava with a proposition. A visit from his daughter distracts Raylan from his hunt for a dangerous fugitive at large. Raylan investigates a murder that is causing conflict in Markham's camp. Ava makes a bold decision. Raylan turns to an old friend. Duffy investigates Ava's release. Raylan seeks vengeance upon the people who are forcing Harlan's most valuable real estate to be sold. Still searching for Boyd, Raylan follows a trail of explosives and runs into trouble. Raylan's investigation leads to his involvement in a paramilitary outfit, while Boyd and his partners try to salvage a profit from their heist. In the sixth season premiere, Boyd plans to pull off a daring heist. Raylan has one final opportunity to take care of Art's would-be assassin. Meanwhile, cartel killers put Boyd in the corner. Raylan puts pressure on every criminal in town to divert the attention away from arresting Darryl Crowe Jr. Meanwhile, Boyd and Duffy recruit an unlikely ally to fight off cartel killers. A shooting close to home forces Raylan and Boyd to decide how far they're willing to go. Raylan and Boyd run into each other on the hunt for Dewey Crowe. Meanwhile, bad blood in the Crowe family hemorrhages. A maverick DEA agent teams up with Raylan, who believes that the man's behavior seems all too familiar. Meanwhile, in trying to protect Ava, Boyd is forced into a difficult decision. Raylan hunts for a missing member of the Crowe family. Boyd flies south with the Crowes in hopes of a drug score, as Raylan goes after a grifter with important enemies. Raylan seeks revenge following Alison's attack. Meanwhile, Boyd is desperate to protect Ava. A mob revenge plot could expose Raylan's past. Meanwhile, Boyd suffers a crushing blow. Raylan is on the lookout for a missing informant. Meanwhile, Boyd's life is in danger. Raylan is king for a day in the seized mansion of a mob accountant. Meanwhile, Boyd tries to reclaim the Harlan heroin market. As Boyd's plan to prevent Ava from being tried slowly comes undone, an unexpected reunion with Loretta McCready pits Raylan against two hit men under the control of a ruthless Memphis drug lord. In the fifth season premiere, Raylan journeys to Florida, where he gets involved with dangerous members of the Crowe family. Meanwhile, Boyd sets his sights on the collapsing Detroit mob. From seemingly out of nowhere, FX has gone from "that channel that plays all the action movies that I didn't see in theaters" to "that channel with all the awesome shows." Check out the premiere dates and times for FX's new and returning midseason shows, including "Justified," "Unsupervised" and "Archer." 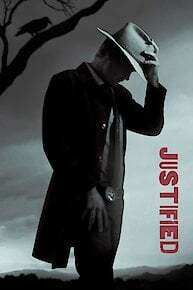 Justified is currently available to watch and stream on FX. You can also buy, rent Justified on demand at Amazon Prime, Amazon, Vudu, FandangoNow, Google Play, iTunes online.